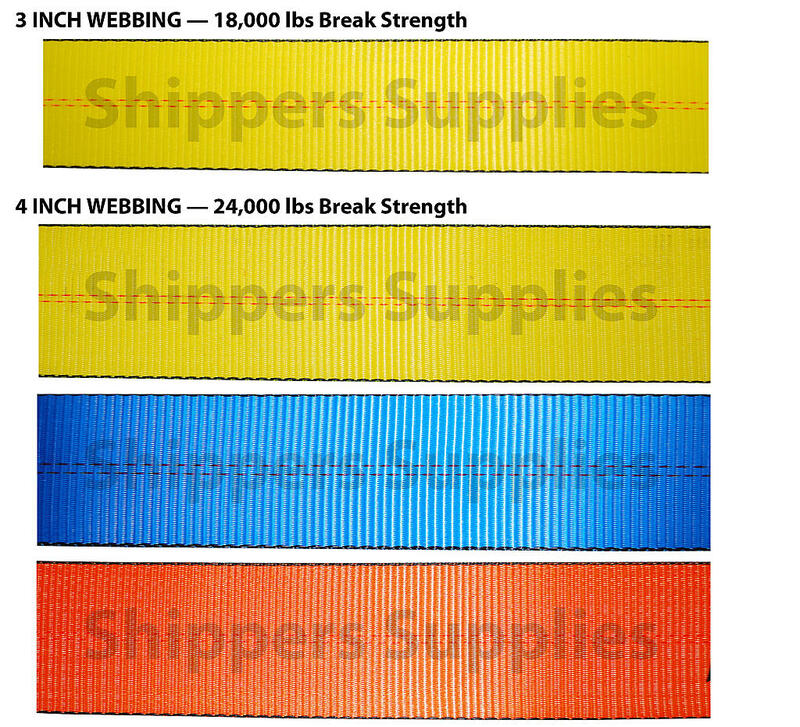 Our 3” & 4” Tie Down Webbing comes in 18,000 lbs, 20,000 lbs, and 24,000 lbs break strengths. Some webbing also has Edge Protection. These are our strongest webbings.